Impress your guests on the big day with a theme wedding that includes bespoke décor, special entertainment and even a little roleplay. An increasing number of couples inject a little extra excitement into their wedding day celebrations by introducing a theme. From vintage chic to casino glitz, themes are a great way to break the ice at weddings and ensure that your guests get involved with the festivities. Couples “Thai-ing” the knot in the Land of Smiles also often incorporate elements of Thai tradition into their celebrations, including a colourful long drum procession and a water blessing ceremony performed by Thai Buddhist monks. While tropical elements may be enough for some couples, a private villa is the perfect setting to introduce an even more unusual theme to the day. With the help of a professional wedding planner, sourcing flowers, props and other quirky décor items is a breeze. Here are a few ideas for themed weddings. Every wedding theme should be close to the heart of the bride and groom. 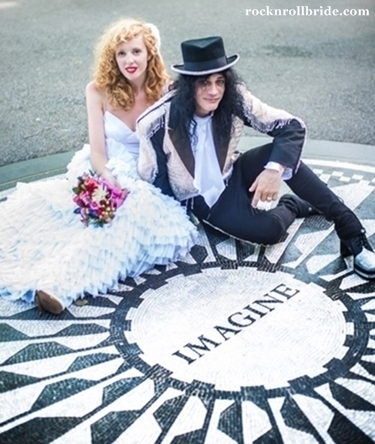 As such, a rock 'n’ roll theme offers the ultimate celebration for music lovers. Get your groove on my setting up a timeless musical colour palette of black and white, and introducing one more bright colours if you want to give your wedding an extra visual pop. Get your hands on some matching Converse for the groom and his groomsmen (perfect shoes for a relaxed beach wedding) and decorate the dinner tables with the classic LPs of all your guitar-toting heroes. Finally, finish the day in style by hiring a local rock band to entertain guests within the grounds of your private villa. The beauty of a casino themed wedding is that you are blessed with a million opportunities to entertain guests by re-creating a mini casino in your villa’s spacious reception area. With the help of a wedding planner, it will be possible to source all of your gaming props including poker tables and roulette boards. 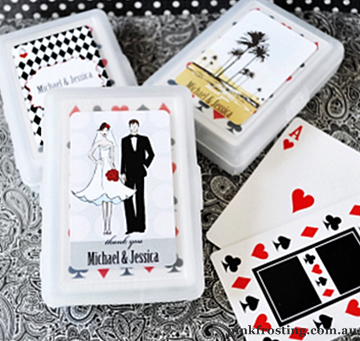 Couples that want to go all out can even come pre-prepared with personalised card decks with the name of the couple and date of the wedding on the back. Party favours can also be Vegas themed – why not present your guests with miniature casino chips made of chocolate? To cap it all off, have an Elvis impersonator conduct your wedding ceremony. Just remember that real gambling is illegal in Thailand so there should be no real money involved. Eco-conscious brides and grooms are increasingly opting to host green wedding days within the lush surroundings of their private villa in Thailand. Simply hosting your wedding within a private villa cuts down on the environmental cost of transportation between different venues, but you can also create your own green stationery using recycled paper and place settings could be written on leaves from your villa’s garden, or even pebbles from the local beach. Opting for silk or (recycled) paper flowers instead of displaying real blooms will also help minimize your wedding’s carbon footprint. If your guests have travelled all the way to Thailand to celebrate your wedding, there is a chance that they will all share another love – travel. Travel is also great theme to break the ice around a dinner table, so why not encourage your globe trotting guests to share a few of their best travel tales? You can also have a lot of fun with travel themed décor. 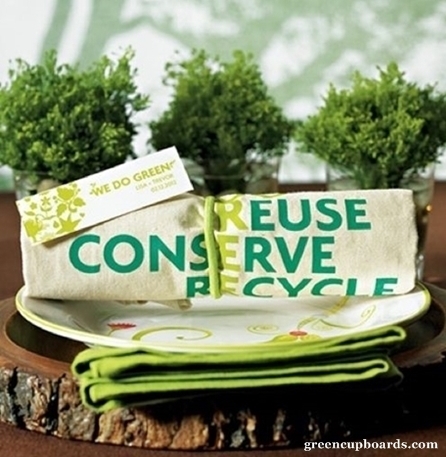 For example, your place settings can be luggage labels or vintage post cards. You can also theme each of your tables on different countries, as well as treating your guests to an international buffet where they can sample the food of nations from around the world. Vintage wedding themes have made a major comeback in the past year, and one look at the soft rosy hues, intricate lace and glimmering pearl detail of a vintage wedding will leave you in no doubt as to why. A vintage colour palette usually includes pale pinks, whites and soft greens, so this is a good starting point for your centrepieces. You can also include old black and white photographs from your parents’ or even grandparents' weddings. 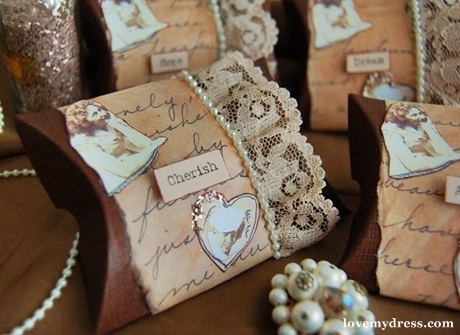 They not only look fantastic, but provide a heart-warming way to make sure the older relatives are included. Homemade table decorations and cherished keepsakes can be displayed alongside bouquets of colourful wildflowers to achieve the vintage look with ease.